A little surprised by how quickly the iPad 4th generation model appeared? You aren’t alone. It has been only a little over a half year since the iPad 3 debuted, which clearly breaks the normal cycle of about 12 months between major updates to Apple devices. Is the iPad 4th generation a must-have if you already invested in the 3rd-gen model a few months ago? Probably not. Sure, it has double the graphics and double the processing power. It also has the new lightning cable. Still, many users were happily chugging away with their iPad 2 even though there was a newer device (iPad 3rd gen) on the market, and you can do the same. If you find that unacceptable and absolutely MUST have the latest iPad, what are your options? Sell your device on eBay and pay the price difference for the upgrade. Move on to an Android or Windows device in anger over the whole quick turn around thing. This isn’t an option for many iPad users who are already invested in the Apple ecosystem or just simply don’t like the competitor’s choices– but it might be a possible choice for a few of you. 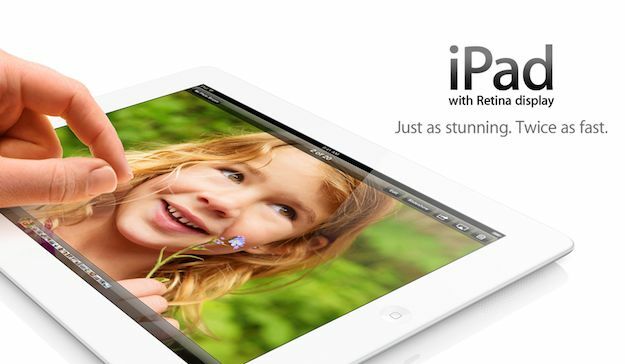 Return your device in exchange for the 4th generation iPad. Did that last option catch your eye? If you device is less than thirty days old, it might be a very real choice for you. While Apple normally only gives you two weeks, many stores are extending the policy in order to respond to the growing number of complaints already arising in regards to the newest iPad. Before rushing over to your nearest Apple Store, call first. Not all stores are participating in this extension of policy. If your nearby stores aren’t, you still might be able to get them to make an exception to the rule if you complain enough. As for those that have the iPad 2, you may now be very glad that you didn’t move on quite yet. Are you going to happily keep your 3rd gen iPad, or do you plan to sell it to get the newest model? In contrast, are you now considering jumping the Apple ship altogether? As for the lucky few that have a 3rd generation device that is only 2 – 4 weeks old, any luck returning it?